The mountains are our favourite place to camp, hike and take photographs. 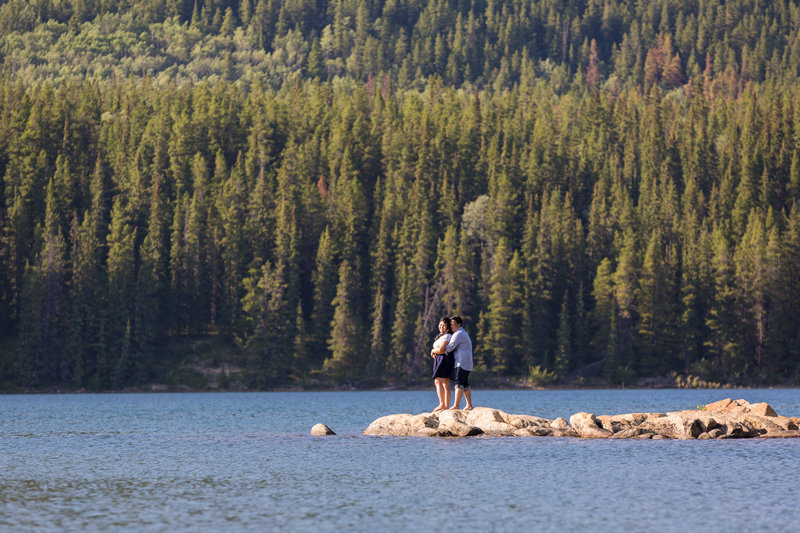 We were very excited to hear that Cheryl and Lester wanted to have a Jasper engagement pictures. 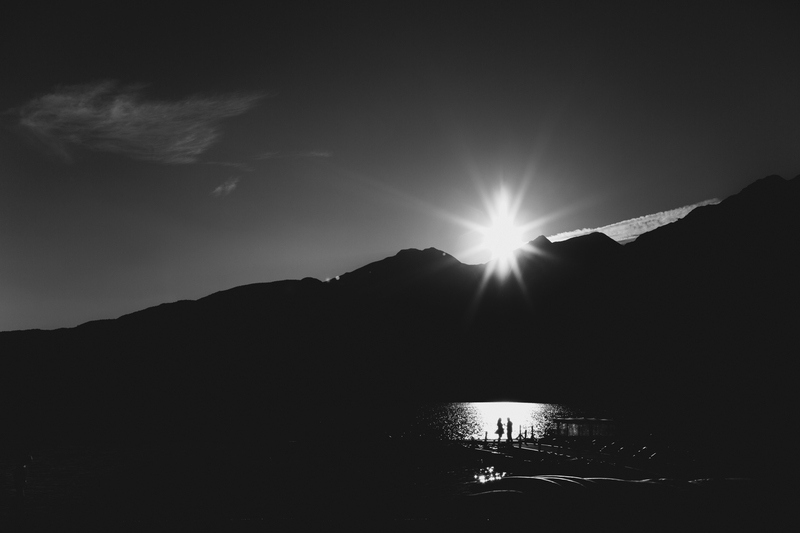 We spent a beautiful afternoon at the lake, caught a stunning sunset and stayed out late watching the stars. Thanks so much for joining us in Jasper! 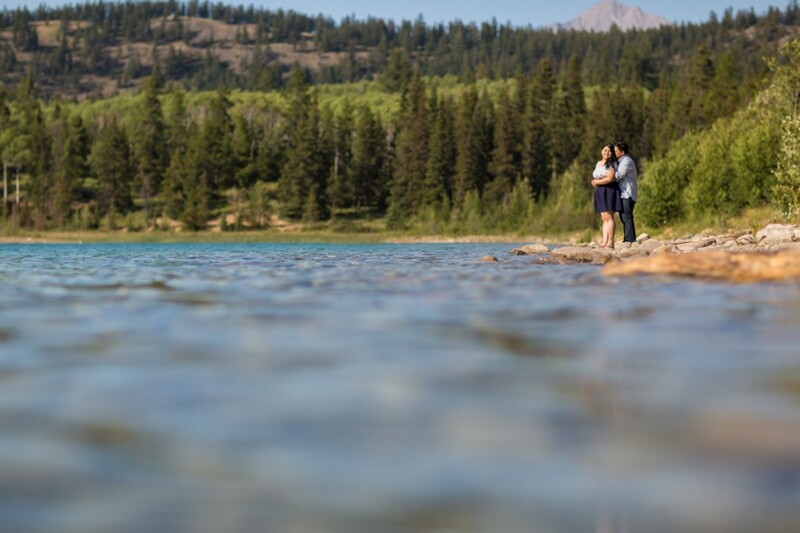 Cheryl and Lester are as sweet as they come and we spent a sunny afternoon at Patricia and Pyramid Lake for their engagement session. 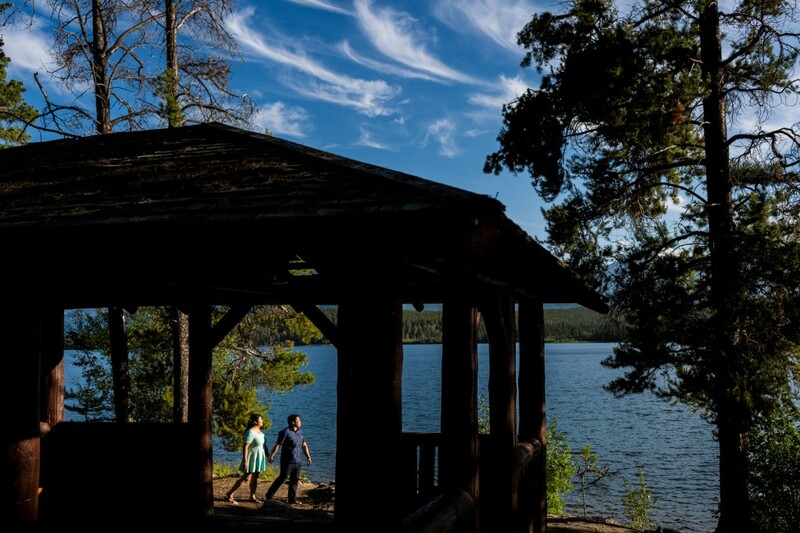 These two pristine lakes sit just west of Jasper town and offer some of the best up-close mountain views in the park. The view to the west is perfect to catch the sun setting over the mountain range and to enjoy the warm golden hour, followed by a stunning blue hour. When the stars come out you get the full impact of Jasper’s Dark Sky preserve. 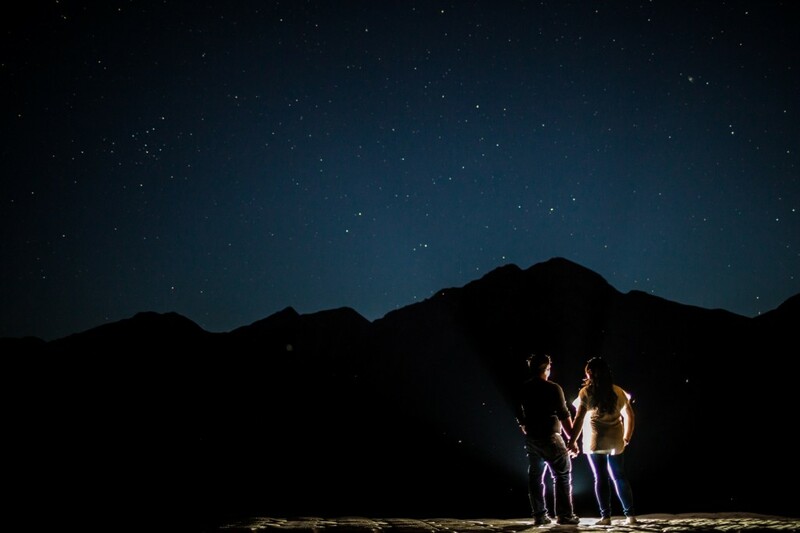 If you’re lucky, you may see a shooting-star or two. It took patience to wait for the sun to set (oh those long summer days!). 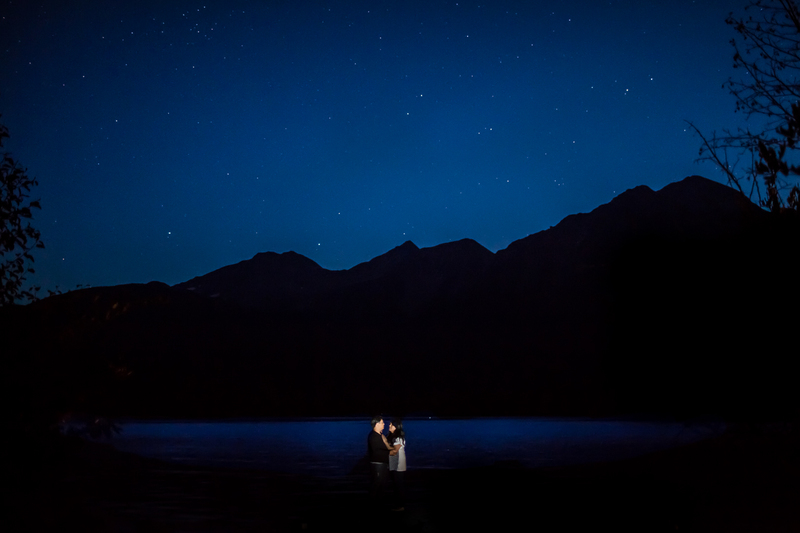 The clear evening let us catch a few night portraits under the stars before finally packing it in for the day. We love working with awesome couples – especially in the mountains. 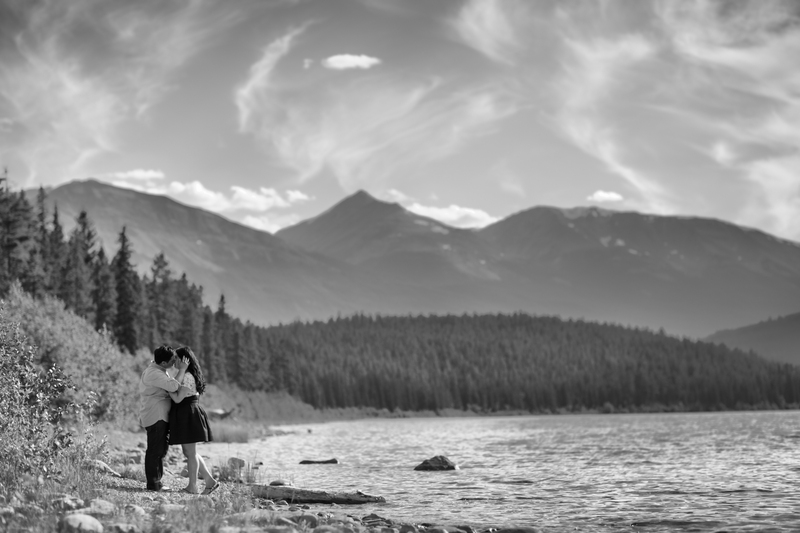 If you are looking to book some engagement pictures in Jasper, please contact us! 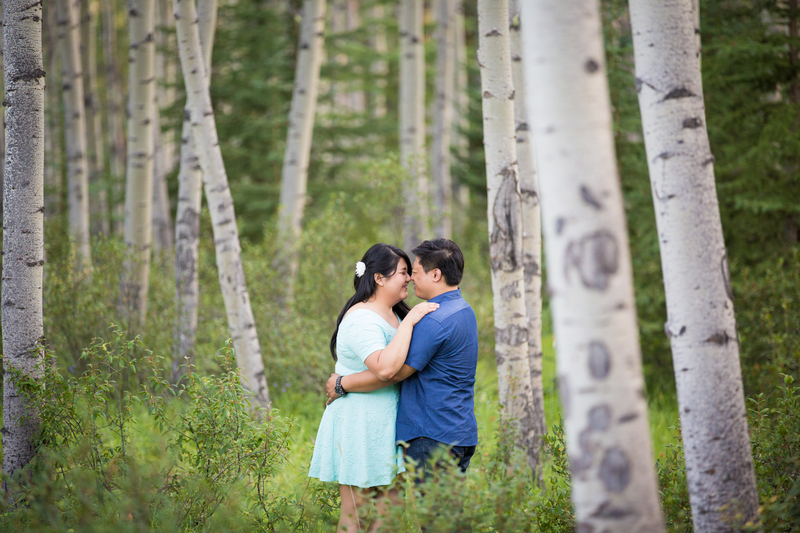 Prior to our session, both Cheryl and Lester let us know how nervous they were about taking pictures. It was the first time they were going to have professional photos taken together. We did our best to talk them through the session and by the end of our session you could tell they were both well at ease. 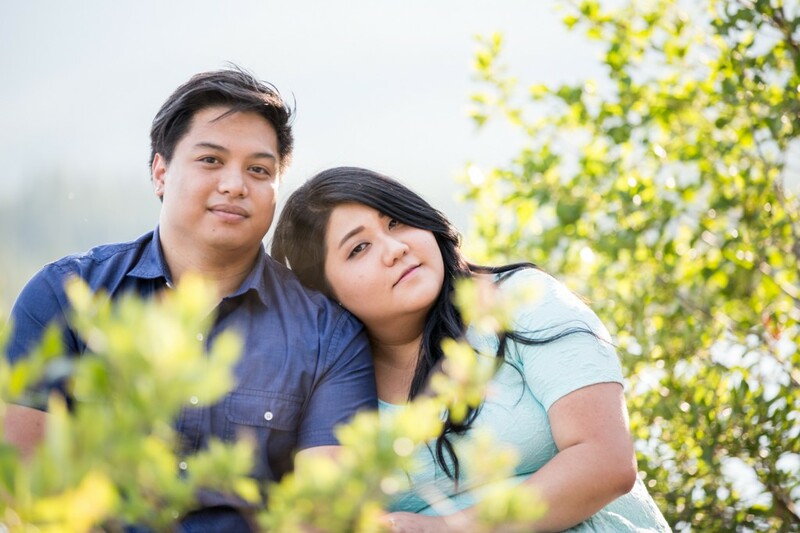 We have created a free short guide on preparing for your engagement pictures. If you are nervous about your session, or unsure what to expect, take a look.